BYC Bikram Hot Yoga Pregnancy Series. Pregnant and wondering about your yoga practise, well you’ve come to the right page! Secondly, please let our Teachers and Staff know. If you are pregnant and have never practised Bikram/ Hot Vinyasa or Yin Yoga before, we suggest that you find a gentle pregnancy yoga class and come back to us about eight weeks after the birth of your child. If you have had a regular BYC Yoga practise of at least 1 year prior to becoming pregnant, please talk to your teacher after your first trimester, before resuming your practise. If you have not had a regular practise of at least a year prior to pregnancy we would advise that you do not continue your practise until at least 8 weeks postpartum. When you are pregnant your body temperature is already higher; therefore you would need a cooler part of the room (by the doors or the windows, but sshhhh don’t go telling everyone). In addition, compressions or lying on your back are not recommended. Please inform your instructor to enable them to work with you. We have a pamphlet with all the information regarding the Bikram hot yoga pregnancy series (BYC Bikram Pregnancy Series Pamphlet) and also a reduced ‘cheat sheet’ version for you to take into class with you. Just ask at BYC reception when you come to class. We would recommend arriving early for your first class back, once in your 2nd trimester, to talk through the pregnancy series with your teacher prior to class. 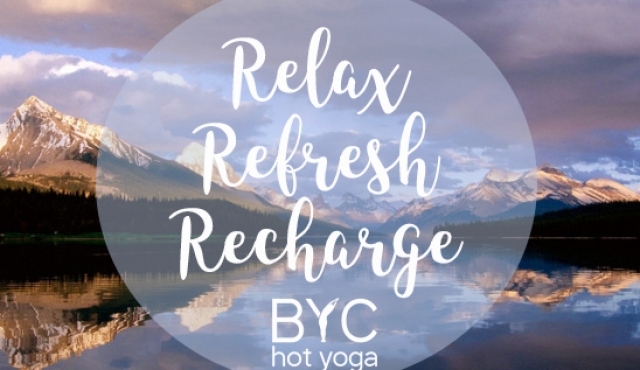 In regards to resuming your BYC Yoga practise or taking up a practise postpartum, we advise waiting approximately eight weeks after the birth of your child (including C-sections). We ask that you have been signed off by your GP/ health practitioner as ok to resume exercise, prior to your first class after birth. If your doctor has okayed you to return to exercise postpartum, please speak to your teacher and BYC reception to alert them this is your first class back. If you are breast feeding please make sure you are adequately hydrated. It may also be uncomfortable to lie on your front, in this instance you may wish to practise the pregnancy series for the belly down postures (see pamphlet below or ask for the Pregnancy series leaflet in studio). Click the link to launch our BYC Bikram hot yoga pregnancy series pamphlet. It is quite a large file so can take a little while to lead into your web browser. All the information you need if are planning to continue your Bikram Hot Yoga Practise during your 2nd trimester. Don’t worry you don’t have to remember all of this, we have a mini version you can take into class with you, just ask at BYC reception.